I’m excited to say that I’ve recently completed a story and activity book for Egmont Publishing which will be out in the shops from the end of July this year. 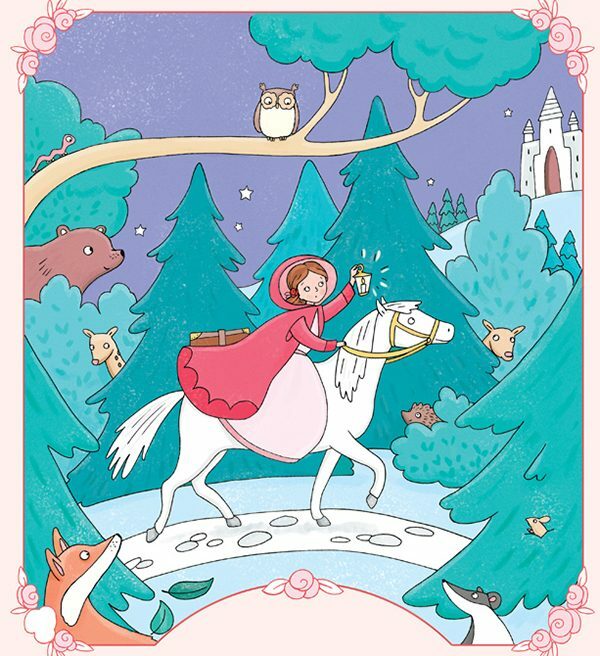 The book is essentially a picture story book, but on each page there is a puzzle or colouring activity worked into the illustration for children to do. 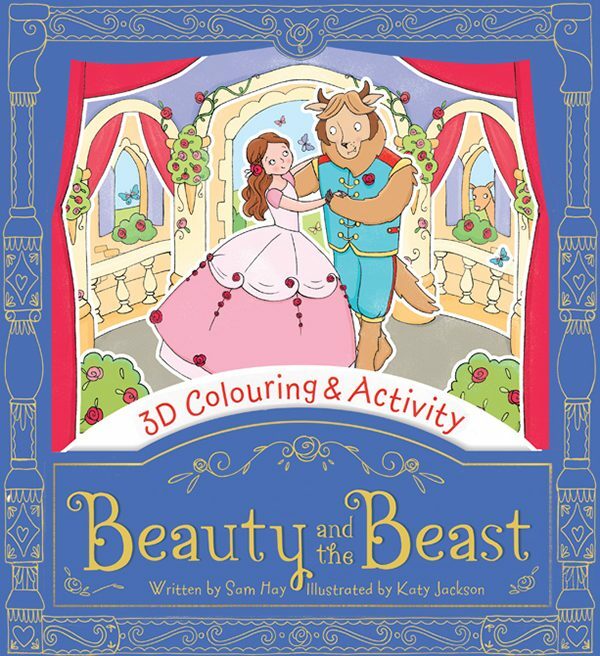 There is also a 3D scene at the back of the book of Beauty and the Beast dancing, which the children can colour and assemble -no glue needed! 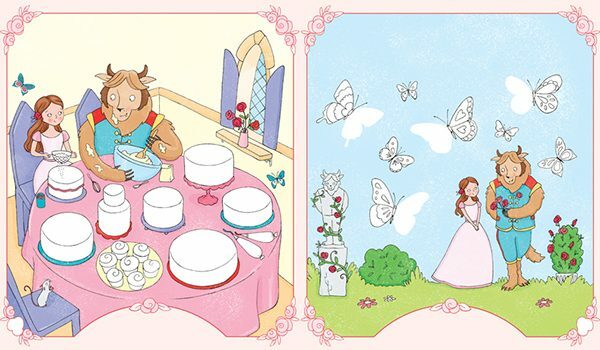 I loved working on this book and designing the little characters and extra elements and activities.